Vinyl wallpaper or wall murals , one piece or overlap. Signage, Conference Room Wall Coverings, Installation Services. 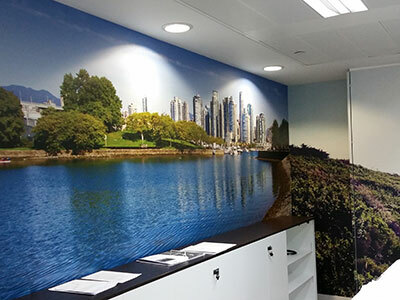 Large wall graphics are often used in Exhibitions, retail industry or in Office Branding and when placed on the right wall have a stunning effect. Large visuals taking the all wall are in demand and there are a lot of different options to accommodate it. Some of our customers would ask for some temporary solutions which can be achieved by using removable printed low tack vinyl and others will want something permanent. 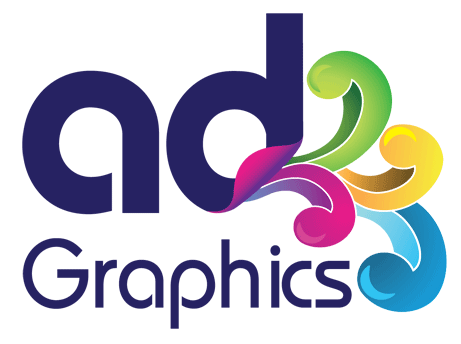 All the Self Adhesive Vinyl have their strengths and depending the texture of the wall and the length of time the graphic is required, we’ll choose the appropriate media. can be self adhesive or can be glued using wallpaper glue, that depends on the product, we personally prefer to work with a poly canvas or polycril for long term solution. This Polycril is a wallpaper printed in one piece which has the advantage of not having any join, we can print up to 3 meters in height by whatever the length of your mural is. 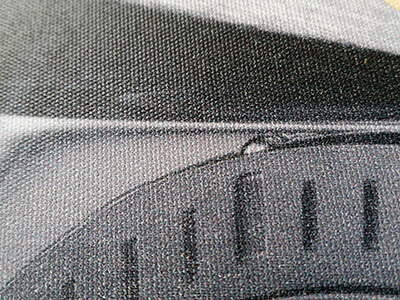 This product has a slight canvas texture and when printed, looks fantastic. We usually install the polycril with wallpaper glue as this product is not self adhesive. For smaller graphics, Self adhesive vinyl wall paper is better suited.